After Hurricane Maria, a category 4 storm, collided with Puerto Rico, all of its 3.4 million residents were plunged into a desperate humanitarian crisis. Access to clean water and other essentials was reduced for months. To this day, roughly one-third of Puerto Rico’s residents (approximately 1.2 million people) are still living in the dark. To make matters worse, millions of emergency meals which were intended to be sent to the hurricane-ravaged island never arrived. This is because Federal Emergency Management Agency (FEMA), the U.S. agency responsible for disaster, hired a contractor that failed to meet its obligations. According to records cited by Democrats on the House Oversight Committee, a nearly $156 million contract was awarded to a one-person company by FEMA. So far, they’ve delivered just 50,000 of the expected 30 million meals. The lawmakers claim that the company, Atlanta-based Tribute Contracting, has had a rocky history handling smaller government contracts worth less than $100,000. It has also been barred from government work until 2019. Tiffany Brown, a representative for Tribute and its owner, did not respond to requests for comment. This isn’t the first Puerto Rico-related mess-up by FEMA. The agency also hired Whitefish Energy Holdings, a small Montana firm, to restore the island’s power despite a lack of experience. The deal was later cancelled by Montana’s governor, Ricardo Rossello. Because of these failings, Cummings and Democrat Stacey Plaskett urged the panel’s Republican chairman, Trey Gowdy, to subpoena FEMA for documents on the company, as well as its supposed failure to deliver millions of meals. 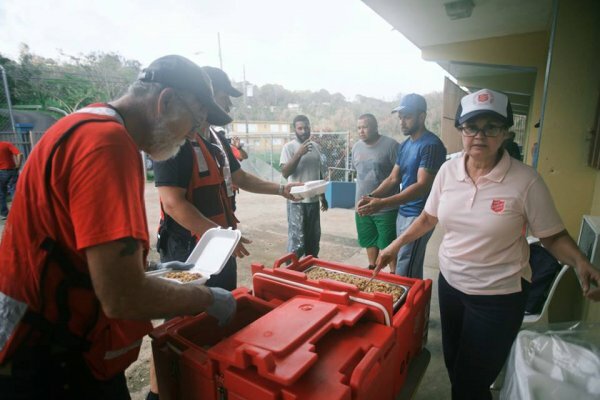 A spokesperson for Gowdy said that sending a subpoena was premature but that the panel would continue to review Hurricane Maria recovery efforts. What are your thoughts? Please comment below and share this news.
? New Feature Film Sedition Offers 70% Of Profits To Educate Kids And Save The Environment China Is Re-assigning 60,000 Troops — To Plant Trees ?